IT'S been the eye of Rockhampton, the watcher on the river, warm, welcoming and iconic. For more than 150 years, matched in time only by the local newspaper, the Criterion Hotel has stood the test of time; one constant throughout flood, fire, famine and depression. It has housed Queen Elizabeth II, The King Wally Lewis and Russel Crowe - as well as a friendly ghost for the random tap on the shoulder - and been the headquarters for the US Army in WW2, but it's a pub through and through. Though one flowing with class by the keg. 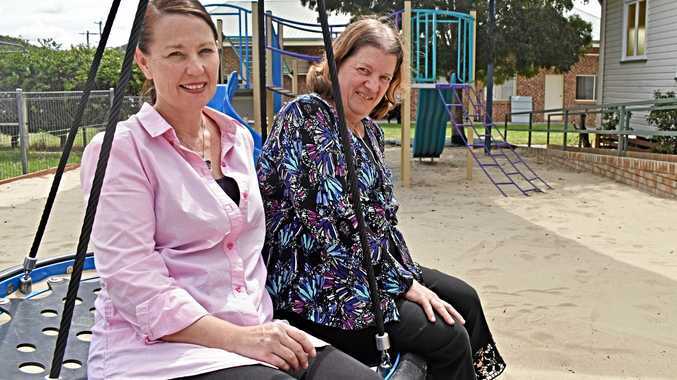 Sitting on the banks of the mighty Fitzroy River, its foundations run deep into the heart of the city. It is Rockhampton to the core. Originally known as 'The Bush Inn' - now coined with the more modernised name 'The Cri' - the heritage-listed building on Fitzroy and Quay has sat by as the city changed around it. Bridges one and two were built, fellow hotels came in and out, the Cri has bided its time - the one classical place to quench that hard-earned thirst. 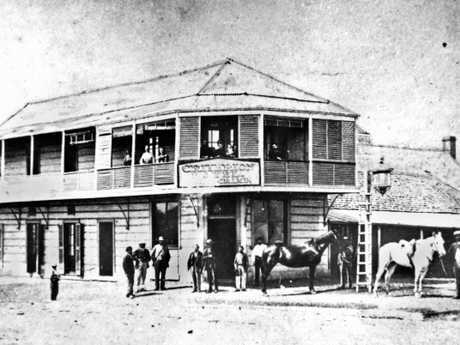 The Criterion Hotel circa 1873. Photo Courtesy the State Library of Queensland. Owned by the Turnbull family since 1991, it is their task to keep The Cri's heritage look up to date. An easier task said than done. "It is a bit like the Sydney Harbour Bridge,” owner Ryan Turnbull explained. "Once they finished painting the entire thing, they realised they needed to start painting it again. "She (as he refers to her) just needs to be maintained. Why would you change her? Ryan said his hotel was blessed in location and looks. Few venues in Rockhampton tick so many boxes. He said it took a holiday and stepping away from The Cri for him to notice just how iconic a place it was. "It is when you come back that you truly appreciate it,” he said. "You see too many big firms turn old pubs into modern venues. We are very lucky in the way she was built.